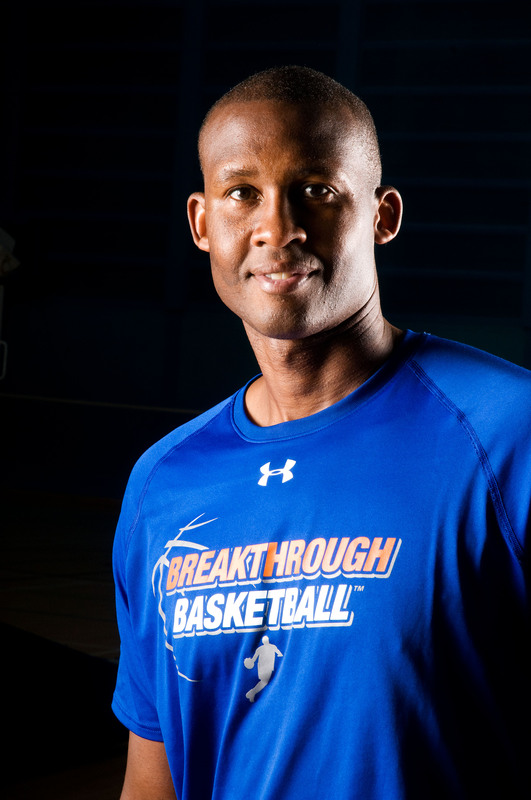 Announcing June 17th - 21st, 2019 Breakthrough Basketball Elite Skills & Leadership Camp in Chicago, Illinois! This is a 5-day, overnight Elite Skills & Leadership basketball camp in Chicago, Illinois . Every aspect of your game improves with this camp. You will learn the exact skills, drills, and training methods that the Breakthrough Staff has used to help players reach the NBA level. You need more than elite skills! An elite skill level will help you advance in the game of basketball. However, your understanding of the game (basketball IQ), your ability to communicate, and your leadership skills are going to separate you from the pack. On the court, you will be an extension of your head coach. Off the court, you will have learned a skill set that help you excel in whatever profession you choose after playing basketball. Learn the intangibles that make �Great Leader"
This camp is for boys & girls going into the 7th - 12th grades. Ages/skill levels will be separated. Don't need room and board? Use promo code: NOSLEEP on the checkout page to receive $100 off the camp price. Please note: If you use this code you will NOT have the room and food package available to you. No exceptions made the first day of camp. Q:� When should I sign up for camp? A:� When you arrive the first day, wear basketball attire and be ready to go.� You'll want to pack at least 4 days worth of basketball attire and maybe a 4 extra change of clothes in case you sweat a ton.� You can change over lunch.� Pack something comfortable to sleep in as well after you shower at the end of each day.� Pack plenty of extra socks.� Whatever else that would make you feel at home.� The room accommodations will come with�linens that will be provided and includes a flat sheet, fitted sheet, blanket, pillow, towels, hand towels and washcloths. Q:� What time should I arrive for check in on Monday? A:� We'll start the check in process at 7:30 AM.� �Be there by 8:30 AM so you have plenty of time to find your room, get settled in and be on the court at 9 AM for the start of camp. Q:� What time is check out? A:�We'll wrap up at noon on Friday. A:� Your child will sleep in a dorm on campus.� They will be paired up with the same gendered athlete unless you otherwise note that you would like your child to room with a friend.� After you sign up and pay to reserve your spot and you want your child to room with a friend, please email camps@breakthroughbasketball.com and we'll make a note on his/her record. Q:� Can my child share a room with a friend? A:��Yes.��After you sign up and pay to reserve your spot and you want your child to room with a friend,�email us. Q:� Are boys and girls in the same dorms? Q:� Are the rooms furnished? Does my kid need to bring a sleeping bag/pillows? A:��Yes.� However, they can bring their own pillow and blankets if they'd like. Q:� My child is on medication, how does the camp handle this? A:��Please�email us�or request a phone call. Q:� I will be sending my child to the camp by plane, how do we handle this? A:�We CAN NOT pick up or drop off unaccompanied minors at the airport. Q:� Will my child miss out on not attending the overnight sessions? A:��They will not miss out on any basketball related activities. �They will miss out on some fun camp bonding and after basketball activities. Q:� Will my child be with kids in his/her age group? A:� Yes.� We break out the campers by age group and gender.� There may be a couple baskets that have a mix but we'll do our best to put any advanced athlete in an older age group or vice versa.� The bulk of the camp is individual skill drills to make you a better player, so that doesn't matter much anyways until we get to competitive play. A:��If you have any questions, don't hesitate to�email us�or request a phone call.